This month has been a roller coaster! For the past few months, I have been struggling finding the motivation I had over the summer and I feel like it’s just now getting to the point where I am making conscious choices again. We took a small weekend trip to San Francisco at the beginning of the month and there was really an eye-opening experience that I will take with me when I go to NYC in September. When we travel, we walk everywhere! In NYC, we typically walk about 6 miles or more each day and I always feel like I should come home 20 pounds lighter after a 4-day vacation. This trip to San Francisco was much different than my last big trip somewhere because I had an Active Link tracking my movement. I also tracked what I ate, no matter what food choices I made. As I was tracking both, there was a huge discrepancy in what I was taking in and what I was burning off. In NYC, I felt like my walking was burning off any of the things I ate, but now I am not so sure know I wasn’t! I know I could have made better food choices in SF, but I was taking in about 50 points daily and burning off only 4. WHAT?! It was so discouraging to realize that all the walking I was doing, no matter how sore my legs were, didn’t even come close to burning off my food, let alone help me lose weight. 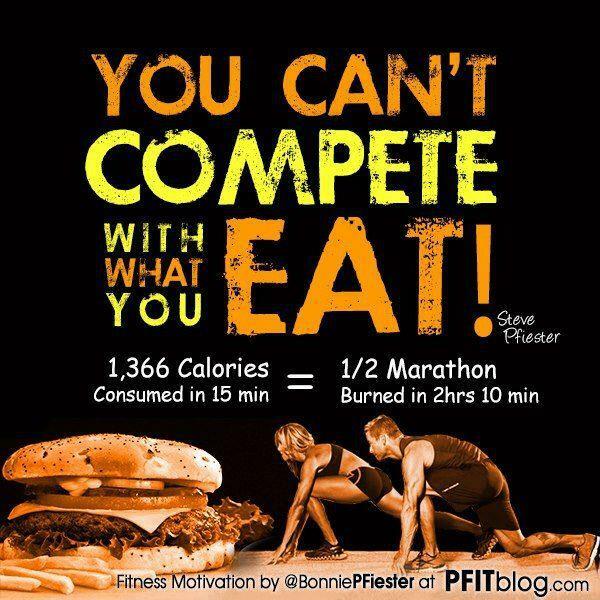 To think I need to run a 1/2 marathon just to burn off some crappy fast food meal I ate is not only outrageous, but I don’t have a daily 1/2 marathon planned just to burn off the junk I eat when I go out for fast food! An eye-opener to say the least. I mean, we all know these things to be true when they are put out in front of us, but I don’t really think of the sheer caloric volume I eat most of the time. I eat average-sized meals, but they are total point and calorie bombs most the of time. This brings me to some of the good changes June brought to me. I switched over to Simply Filling on Weight Watchers, which really gave me a renewed sense of the program and something fresh to do beside tracking every point (and going over) and getting discouraged. I went shopping and filled up my cart with produce, whole grains like quinoa and wild rice, almond butter, whole wheat crackers, lean protein and Greek yogurt. I am loving the emphasis on clean eating over point values! I think counting points is great, but I want my focus to be on more wholesome foods, rather than a point value at this time. I also joined the gym, so I am really loving getting to the weights and cardio machines and, of course, the sauna after a nice workout. A couple months ago, I won ‘Look Better Naked‘ from Reduced Fat Girl and included in the book is a six-week menu plan (which fits perfectly with Simply Filling!) and a six-week strength/cardio plan — I am using these two things as a guideline for the rest of the summer! In July, my goals are to follow the plan and lose some inches! On July 1st, I’ll be posting my measurements so I can easily keep track of them over the next six weeks. It’s been a while since I blogged, but I think I want to get back into it — if nothing else, it will document how I am doing so I stay even more accountable! It’s been a long few months, stress has finally started to subside and now it’s time to get back in control with my weight loss. I’ve given in to my temptations a lot these last few months, which has me dealing with the same 10 pounds I’ve been trying to lose for almost a year. I really lost my motivation when I got down to 196 — it was a mix of complacency and just thinking I could go back to some of my old habits without any repercussions. WRONG! These last few months, I think I got bored with tracking. It’s the only explanation I can come up with when trying to think of why I was not doing it. I got tired of tracking everything — especially when I was going out to eat. Of course, when you are not doing well, that is the time you really need to track, but for me, I was getting more disappointed in myself for choosing 20+ point meals, and of course, I did not want to see a negative sign in my tracker every day so I did what any person who does not want to face reality would do — I avoided it! Might also explain the lack of blog posts, too. I decided a few weeks ago to watch Hungry for Change — and it was a turning point in my motivation. My body is not starving physically, but I am starving nutritionally. I got hubby to watch the movie and we both took away a lot of valuable information from it. We bought a decent juicer at Target to begin our foray into juicing and it’s been a good experience. I am not juicing to lose weight, replace meals or to find some miracle fix to my health — I am putting more fruits and vegetables into my body that I have in years. The movie also made me realize how many chemicals or preservatives we eat — sure, some are necessary to preserve foods so they withstand transport or grocery store deliveries, but I need to stop filling my cupboards and pantries with foods that have an ingredient list a mile long. I want to eat cleaner, fresher food — basically shop the perimeters of the store and eat mostly proteins, fruits, vegetables and whole grains. Cue, Simply Filling. I think switching to this plan is exactly what hubby and I both needed to feel better and get a renewed sense of motivation on Weight Watchers. We have the power foods list printed out and will be attempting to eat as many foods off the list as possible. This first week on that plan has had some successes (we actually discuss during/after eating if we are filled) and some not so good moments. Dining out is a little shaky right now as we try to get into a routine with hubby’s new job. Finally, we went and signed up for memberships at L.A. Fitness again. It’s been about 6-7 years since we had memberships, and even though we have a small gym at the apartment, we have been wanting the amenities of a gym for a while now. I really want to do weekly classes and then sit in the sauna, while hubby wants to start lifting weights and lean out. I think we finally got a new wave of motivation and living a mile from the beach doesn’t hurt either! Being surrounding by bathing suits and amazing weather means I need to kick it up a notch!